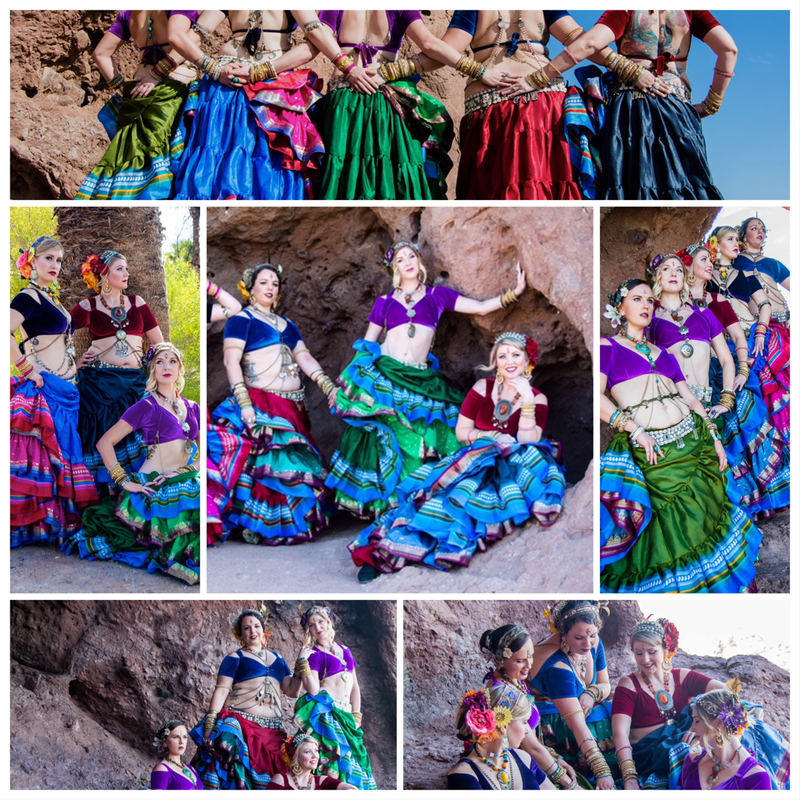 Lorna has been dancing and teaching Egyptian style Bellydance professionally since 1996. She has just returned to UK after living and performing in Cairo for 10 years! In Egypt, Lorna starred The Nile Maxim boat, Zamalek. Previously she was the first ever contracted dancer at the prestigious 5 star Fairmont Nile City Hotel, where she performed regularly at the oriental Bab El Nil restaurant. Prior to that Lorna was the star of the Nile Pharaoh boats from 2006 and also performed at many weddings and parties across the country and has appeared on Egyptian TV. Lorna's own dance style has developed over years of being a professional performer in Cairo and internationally and teaches in festivals, workshops and private classes to pass on her 'Cairo knowledge!’. As a teacher, Lorna's extensive experience has allowed her to develop a unique teaching style like nobody else. Her workshops usually ring with the gasps of 'Eureka' moments, and students typically report back that their dancing dramatically improves from the moment they leave the class with the inspiration she instils. 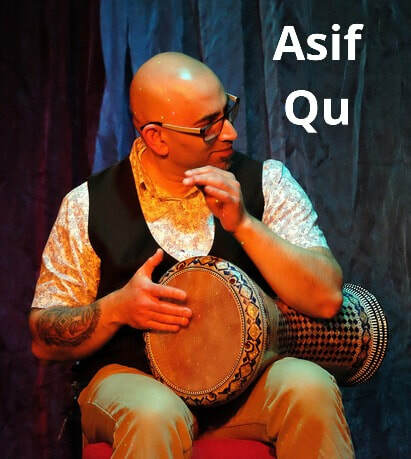 Asif has been playing and teaching for several years, specialising in Middle Eastern Percussion, but also plays and teaches West African Percussion and is learning to play the Indian Dhol. Although mostly self-taught he has taken workshops and private tuition from Faisal Zedan, Tim Garside, Chas, Mark Bell, Karim Nagi, and Issam Housan. Asif has set up percussion groups in Shrewsbury, Nottingham, Lancaster, Lincoln, Northumberland and Cumbria. He has also taught at some of the major dance festivals such as Jewel of Yorkshire, Majma and Tribal Goddess. He is also part of a Band called “The Nomads” alongside Mike Parnell, Mark Carlyon and Pete Gostelow.